Prior to the Allure Collection being introduced, my go to ring was the Classic...But since the Allure Collection became available, my new go to ring is the Allure.. I absolutely love all the allure pieces from the rings to the earrings. The baguette on each piece (with the exception of the ring) makes it so rich looking. I love the new Allure Cushion Ring..I am waiting to get mine ordered!!! Thank you Style Dots for introducing this gorgeous collection...Any of our 12mm Dots look absolutely awesome in this collection!!! I LOVE this ring! The sizing is accurate and the detailed edge makes all kinds of Dots look beautiful without overshadowing the Dot design. I absolutely love the Allure line! I have multiple pieces in this line. I love this ring and it’s beautiful rope detailing and design on the band! I always get lots of compliments on it. This ring is a real eye opener! Every dot looks absolutely amazing in it! It goes with dresses or jeans! 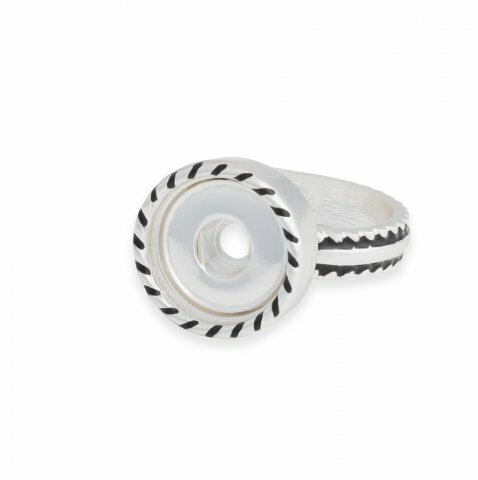 This ring is a must have for your collection!